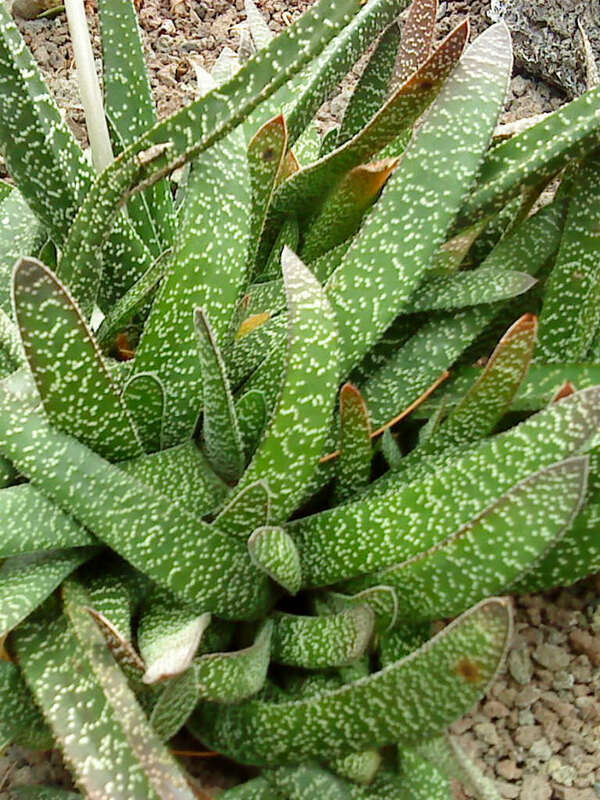 Gasteria carinata is a small to medium-sized, decumbent to erect, Aloe-like succulent. It is highly variable species, up to 7.2 inches (18 cm) tall and up to 32 inches (80 cm) wide. 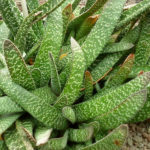 Typically it has sharp, triangular leaves up to 6 inches (15 cm) long and up to 2 inches (5 cm) wide, mottled in color and channeled on their upper surface. The leaves have sharp points at their tips, and usually have keels in mature plants. The flowers are light pink to white with central green stripes and up to 1.6 inches (4 cm) long. These plants are often grouped with Haworthias because the plants have similar cultural requirements. 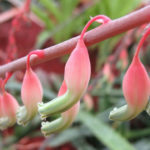 Both are attractive, small succulents that can tolerate somewhat more shade than many succulents, which makes them more suitable as houseplants. Gasterias are susceptible to fungal infections, which usually appear as black spots on the leaves. These are the result of too much humidity or water on the leaves, but they should not spread too quickly. They have a natural defense mechanism against such fungal attacks and attack the invading organism and seal off the wounded spot. 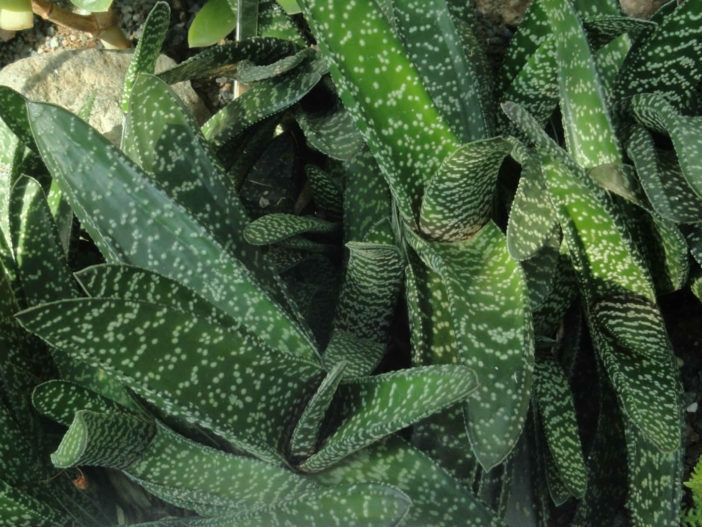 In general, any place where Haworthia and Aloe thrive will be hospitable to a Gasteria. 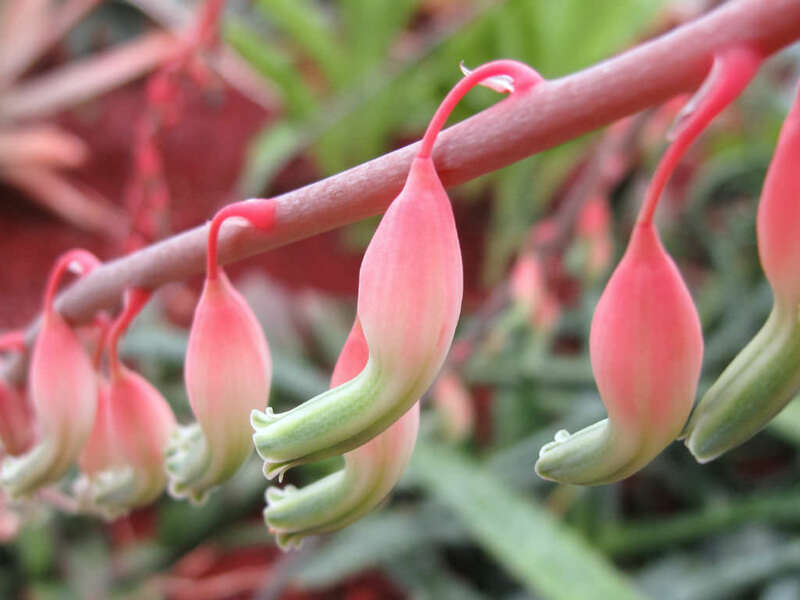 Gasteria carinata is native to the Western Cape Province, South Africa.